Have you ever been into an advanced anatomy class? Well we just found something better than a cadaver for identifying muscle groups — meet Helmut Strebl. This crazy f*ck has really gone down the rabbit hole when it comes to body composition, sporting freakishly low levels of fat, with decent muscle mass year round. Is this safe? Of course not. Is it pretty badass? Most definitely. 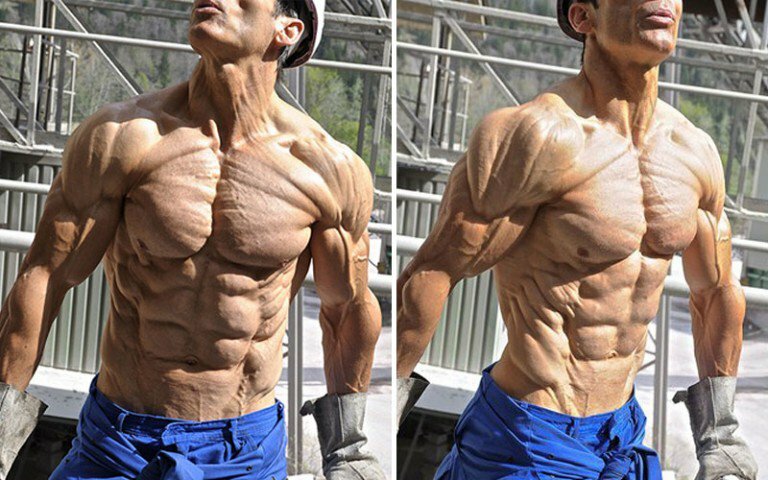 Looking at him reminds of another bodybuilder who was shredded to the bone but supposedly died as a consequence of having too little body fat, Andreas Munzer. Andreas took shredded to a whole other level, that is, until the Streblnator came into play.